Shop contemporary invitations that reflect today’s hottest trends in design and stationery. For an elegant look, shop invites featuring damask patterns, script fonts, and other classic elements. Celebrate your wedding locale with travel-themed designs that fit your unique destination. 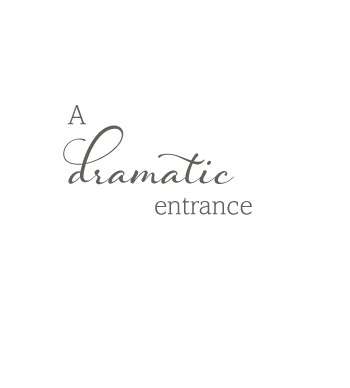 Elegant and exciting, Gate-fold Invitations offer a dramatic trio of space, style and suspense. Designed for guest interaction, Gate-folds mask your invitation’s main event by offering a gated, personalized preview on the front. From front to inside to back, Gate-fold Invites allow you to unfold your wedding details in three performance acts—​giving guests the perfect prelude to your wedding day. 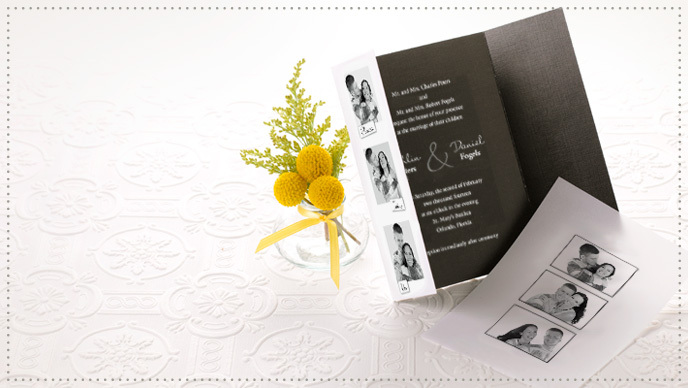 Sustain suspense beyond the front gate by screening the inside of your invitation with a curtain of Vellum. To enhance the interactive introduction to your Gate-fold Invites, wrap the outside with Vellum Bands & Seals. Personalize the colors and add your own photo, monogram, motif or message.